Will Medicare Cover Care for My Whole Family? Since 1965, Medicare has provided medical insurance to individuals. Unfortunately, Medicare is not the program that covers health insurance for families. This program is designed to cover one individual at a time, which means that a man, woman or child must apply and be approved individually by Medicare to receive coverage. If you are wondering who is eligible for Medicare in your family, there are a number of factors that actually determine who is eligible. In general, you become eligible for Medicare if you are aged 65 years or older or if you are younger than 65 and meet specific criteria for disabilities. 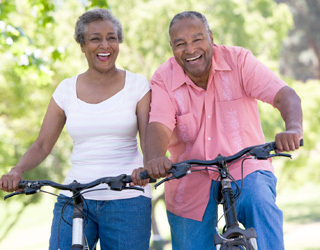 This guide goes through different parts of Medicare and who is eligible to receive coverage. Medicare Part A covers most hospital stay costs and some follow-up medicare care. To be eligible for Medicare Part A, you must meet the following requirements. Once you become eligible for Medicare Part A, you are automatically eligible for Part B as well. Eligibility for Part B is much like eligibility for Part A. However, typically if you are eligible for Part A, then you will automatically be eligible for Part B.
Medicare Part C or Medicare Advantage follows the same eligibility rules for Part A and Part B, which means that you can receive Medicare Advantage if you are already approved or enrolled in Medicare. Medicare Advantage plans are offered by private health insurance companies, but they still must be approved by the government. If you already receive Medicare, then you can switch to Medicare Advantage during an open or special enrollment period. Medicare offers prescription drug coverage to anyone who is eligible for Medicare. However, you need to sign up for prescription drug coverage when you become eligible, or else you will pay a late enrollment fee. To get Medicare drug coverage, you have to join a plan that is approved by Medicare but offered through a private insurance company like Humana or Aetna. There are typically two methods of getting Medicare prescription drug coverage. These plans are known as PDPs and add drug coverage to Original Medicare or Part A and Part B. These plans may be also included under Medicare Cost plans or Medicare Private Fee for Service plans. If you decide to get a Medicare Advantage Plan or Part C, then your coverage will switch from Original Medicare to Medicare Advantage and include prescription drugs. These plans are typically HMOs or PPOs that you receive through a private insurance company. and complete your enrollment form. Then you can call the plan provider and also call 1-800-MEDICARE to complete the process. In order for children to receive medical care that is sponsored by the government, they must be eligible to receive CHIP or Medicaid. CHIP is the Children’s Health Insurance Program and provides health coverage to about 8 million children in families with incomes too high to qualify for Medicaid but who can’t afford private coverage. CHIP was signed into law in 1997 and provides federal matching funds to states that have CHIP coverage. CHIP is administered by the states and is jointly funded. States have designed CHIP programs in one of three ways. Some states did not sign up for Medicaid expansion but still have CHIP plans. You can see what states are providing what kind of children health insurance on Georgetown University’s Medicaid and CHIP program finder. Most states have Medicaid expansions, but some states like Florida have their own unique programs. Medicaid along with CHIP provides health benefits to over 40 million kids in the United States. These are typically low income families who need help with medical expenses. The federal government has set minimum guidelines for Medicaid eligibility, but states have been able to expand coverage under Affordable Care Act. The average income eligibility for children is 241% below the Federal Poverty Level. Medicare is designed for individuals who are elderly or who have some kind of disability or condition. Medicaid is designed to take care of children and young dependents. Parents can find out more information about these programs by visiting HealthCare.gov or you can browse MedicarePartC.com for answers to more questions regarding Medicare coverage, eligibility and costs. If you want to sign up for a low cost Medicare plan, you can also speak with us at 1-888-228-MEDI.